January 24, 2019 at 8:09 pm. As I have covered in previous articles for Children’s Health Defense, the fundamental assumptions underlying the recommendation of the US Centers for Disease Control and Prevention (CDC) that everyone aged six months and up should get an annual flu shot are unsupported by scientific evidence. Examining a case study from the New York Times, we’ve seen how the corporate media manufacture consent for public vaccine policy by grossly misinforming their audiences about the science—and how, in doing so, the media are just following the CDC’s example. 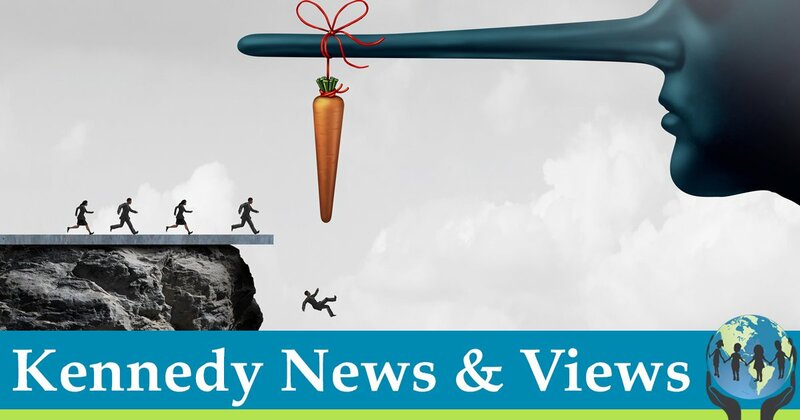 We’ve seen how the CDC uses deceptive fear marketing to increase demand for influenza vaccines, and how the CDC’s claims that flu vaccination significantly reduces deaths among the elderly have been thoroughly discredited by the scientific community. So what can explain the CDC’s behavior? As far as the discourse about vaccines goes in the mainstream media, this problem doesn’t exist. The media treat the CDC as practically the most credible and authoritative source for information about vaccines on the planet and unquestioningly amplify the CDC’s public relations messaging. We saw in our New York Times case study just how blatantly the media participate in misinforming the public, with health writer Aaron E. Carroll supporting his argument that everyone should follow the CDC’s recommendation to get a flu shot by citing a study whose authors actually concluded not only that the CDC’s policy is unsupported by the scientific evidence, but also that the CDC deliberately misrepresents the science to support its policy! As far as the mainstream discourse is concerned, the idea that the public is being grossly misinformed about the safety and effectiveness of vaccines requires belief in “conspiracy theories”. But no conspiracy theory is required to explain how it can be that the CDC is misinforming the public about vaccines. The media is just demonstrably serving its usual function, as outlined by Edward Herman and Noam Chomsky in their book Manufacturing Consent: The Political Economy of the Mass Media, of advocating government policy rather than doing journalism. This is not a conspiracy. It’s just an institutionalized bias stemming from what Chomsky has called the “state religion”—an undying faith in the fundamental benevolence of the US government and its agencies. Likewise, no conspiracy theory is required to explain how it can be that the government agency charged with formulating public vaccine policy is misinforming the public about vaccine science. On the contrary, the CDC’s behavior can be explained to a considerable degree solely by good intentions. Public health officials generally are simply convinced that, in performing their individual function in the mechanisms of government, they are doing good and serving the public interest. Doctors working within the confines of the medical establishment, too, succumb to confirmation bias and fail to question the institutionalized way of doing things. It is only human psychology to be resistant to ideas that challenge one’s own self-identity. It’s not difficult to understand how public health officials might be unwilling to acknowledge the possibility that they could be wrong—that they might be doing harm. The idea that government officials are susceptible to what is known as “confirmation bias”, or the tendency to accept information supportive of one’s personal belief system while dismissive of information that contradicts it, should hardly be considered far-fetched or conspiratorial. Doctors working within the confines of the medical establishment, too, succumb to confirmation bias and fail to question the institutionalized way of doing things. That certainly also applies to the CDC, where corruption and conflicts of interest are an endemic problem. Perhaps the most infamous example is how the head of the CDC from 2002 to 2009, Julie Gerberding, left her government job to go work as president of Merck’s $5 billion global vaccine division. Merck’s CEO understandably described Gerberding as an “ideal choice”. She held that position until 2014 and currently holds the Merck job title of “Executive Vice President & Chief Patent Officer, Strategic Communications, Global Public Policy and Population Health”. That is to say, the former CDC director is now in charge of Merck’s propaganda efforts. One might say she’s basically doing the same job now that she did for the CDC, but even more lucratively. Apart from her salary, in 2015, Gerberding sold shares of Merck worth over $2.3 million dollars. A more recent example came in January 2018, when CDC Director Brenda Fitzgerald was forced to resign after Politico reported that, after assuming leadership of the CDC on July 7, 2017, she “bought tens of thousands of dollars in new stock holdings in at least a dozen companies”—including Merck. A US Senate report from June 2007 noted how surveys showed that Americans “overwhelmingly” viewed the CDC as doing a good job at keeping them healthy, as well as how the CDC took advantage of that perception by seeking ever increasing levels of funding year after year—and yet the CDC had little to show for its exorbitant spending. …contractors who previously were employed by the CDC appear to have found a lucrative way to make their CDC connections pay off. A 2009 report from the Office of the Inspector General for the Department of Health and Human Services found that “almost all” financial disclosure forms for “special Government employees”—such as the people who sit on the CDC’s vaccine advisory committee—were not properly completed. For 97 percent of them, there was at least one omission, and most of the forms “had more than one type of omission.” Furthermore, looking at the year 2007, 64 percent of such employees were found to have potential conflicts of interest that the CDC had either failed to identify or failed to resolve. The CDC also failed to ensure that 41 percent of such employees received required ethics training, and 15 percent of such employees “did not comply with ethics requirements during committee meetings in 2007.” In sum, the Inspector General’s office found “that CDC had a systemic lack of oversight of the ethics program” for special government employees. A particularly salient example was the aforementioned June 1998 recommendation of the CDC’s Advisory Committee on Immunization Practices (ACIP) that all infants receive the rotavirus vaccine. We’ll examine that particular case in a forthcoming article. Be sure to sign up for the Children’s Health Defense newsletter so you don’t miss it! In sum, while the CDC is the mainstream media’s go-to source for information on any vaccine-related story, the public has every reason to be skeptical of the information coming out of this agency. It is certainly no “conspiracy theory” to claim that the CDC is misinforming the public about the safety and effectiveness of vaccines. On the contrary, that the CDC does so is demonstrable and recognized in the scientific literature. It also requires no “conspiracy theory” to explain how this can be so. It certainly does not follow from the assumption that government officials in positions of power are acting out of benevolent intent that therefore their policies are not harmful. The institutionalized confirmation bias and endemic corruption are more than sufficient to explain how it can be that the CDC is misinforming the public about vaccines. Jeremy R. Hammond is an independent journalist and analyst, publisher and editor of Foreign Policy Journal, author of several books, and father. Read more of his writings at JeremyRHammond.com. 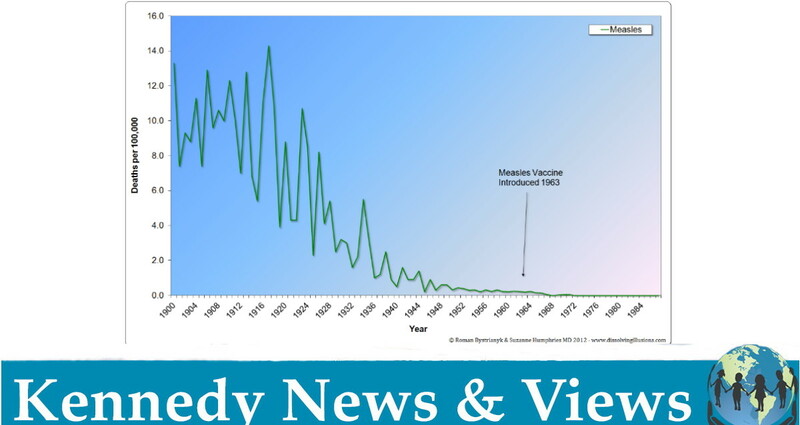 To stay updated with his work on vaccines and download his report “5 Horrifying Facts about the FDA Vaccine Approval Process”, subscribe to his free newsletter. The post Why You Can’t Trust the CDC on Vaccines appeared first on Children's Health Defense. © 24 Jan 2019 Children’s Health Defense, Inc. This work is reproduced and distributed with the permission of Children’s Health Defense, Inc. Want to learn more from Children’s Health Defense? Sign up for free news and updates from Robert F. Kennedy, Jr. and the Children’s Health Defense. Your donation will help to support us in our efforts.